Mr. Laurie has a great point. 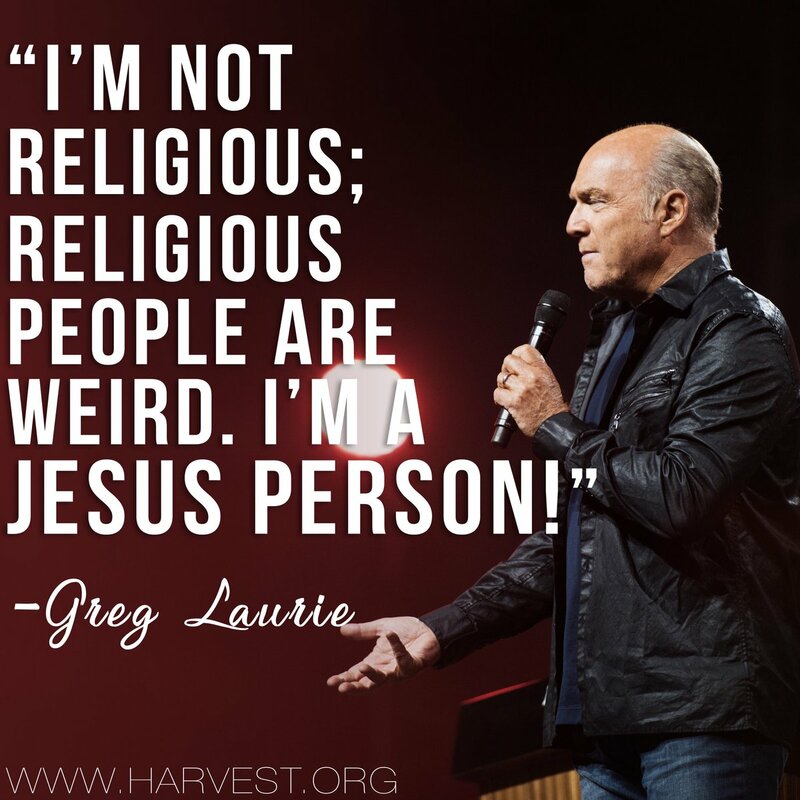 There’s a huge difference between being a religious person and being a person who follows the lifestyle and teachings of Jesus. Religious folks, Jerry Falwell, Jr. for example, all too often, have a world view that they claim is Christian. Nothing, however, could be further away from the truth. A Jesus person doesn’t preach hatred, bigotry or greed. A Jesus person doesn’t support racism or white surpremacy and doesn’t endorse or condone the use of violence. Yet, a religious person is free do do all of this. A Jesus person can be recognized by their openness and acceptance of others and their caring and compassion for anyone in need. Jesus people are the ones who attempt to demonstrate a lifestyle of love rather than fear, reaching out to build bridges of hope and understanding rather than walls of separation. One last hint to help recognize a Jesus person, look for a joyful smile. Religious people have an extremely difficult time faking that. They are usually far too angry. This entry was posted in News & Views, Quotes, Spirituality & Religious Writings and tagged anger, bigotry, caring, Christian, compassion., faithfulness, Greg Laurie, hatred, hope, Jerry Falwell, Jesus, joy, Jr, lifestyle, love, person, racism, religious people, smile, understanding, violence, weird, white surpremacy, world view, www.Harvest.org on August 22, 2017 by Ray Buchanan.